“Too often it feels as if the systems we work in have been designed to inhibit us from really helping people to help themselves. I don’t think this is intentional, but it is becoming harder to provide the kind of help people really need. 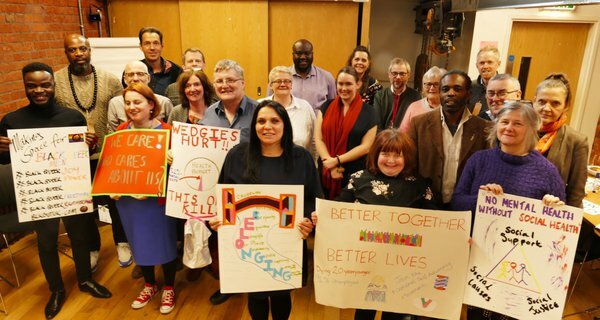 We need to learn lessons from the front line and our communities to make this better.” explained Venu Dhupa from Community Links when we met in Kings Cross on 26th June. This is a view I’ve heard repeated time and again over the last few months, as I’ve travelled across the country (see below) talking to people about what we can do to encourage ‘good help’. In February we launched the Good and Bad Help report which argued that too many of our services and social programmes offer people ‘bad help’ which undermines their ability to take action for themselves. This has significant human and financial costs. 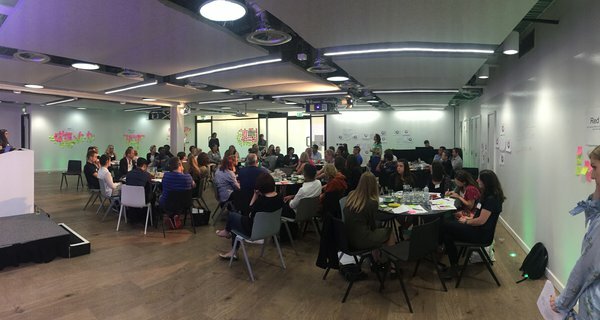 Since then I’ve met over 200 people who design, fund or deliver services, to better understand how to support ‘good help’; help which supports people to take action. This is a very brief summary of what they told me. Building a ‘good help’ community where we can support each other to make ‘good help’ a reality for more people. At each event we spent a lot of time talking about the fourth priority - how we can work better together - because changing mainstream services isn’t going to happen over night. It depends on many different people working in different parts of the system changing how they work. There are also strategic barriers such as targets which make ‘good help’ more difficult. An obvious example of this is how JobCentre staff are encouraged to focus on reducing benefits claims as opposed to helping people find meaningful, better paid work. Additionally, much-needed simple training of front line staff in techniques such as enabling language are already being taken up by many health professionals but haven’t become mainstream. The ‘ear of local and national government’. Sharing of experiences and expertise of what works. Support networking (locally, regionally, nationally) both virtual and face to face. There are more of these workshops planned for Cardiff, Edinburgh and Belfast, details to be announced via the Good Help Newsletter. Rich, your piece about good help is really profound. The evidence shows from abandoned vehicles to housing allocations, from rent arrears to planning, true understanding of the nature of the problem that is presented leads to the appropriate type pf support. When that person is in need of support, which is increasingly the case these days, good help is the action. This is in contrast to transactional help, or standard help. To give one simple example, rubbish in the front garden is almost always dealt with by enforcement officers issuing official notices. If the officer alternatively listens and undersides the circumstances that caused the person to pile up rubbish, the course of action is almost always not to do with fining people - it is to give the appropriate help. Over 80% of all people in an area that were reported with rubbish in the front garden were in need of help in their complex lives - and fining them simply makes their complex and tangled life worse.